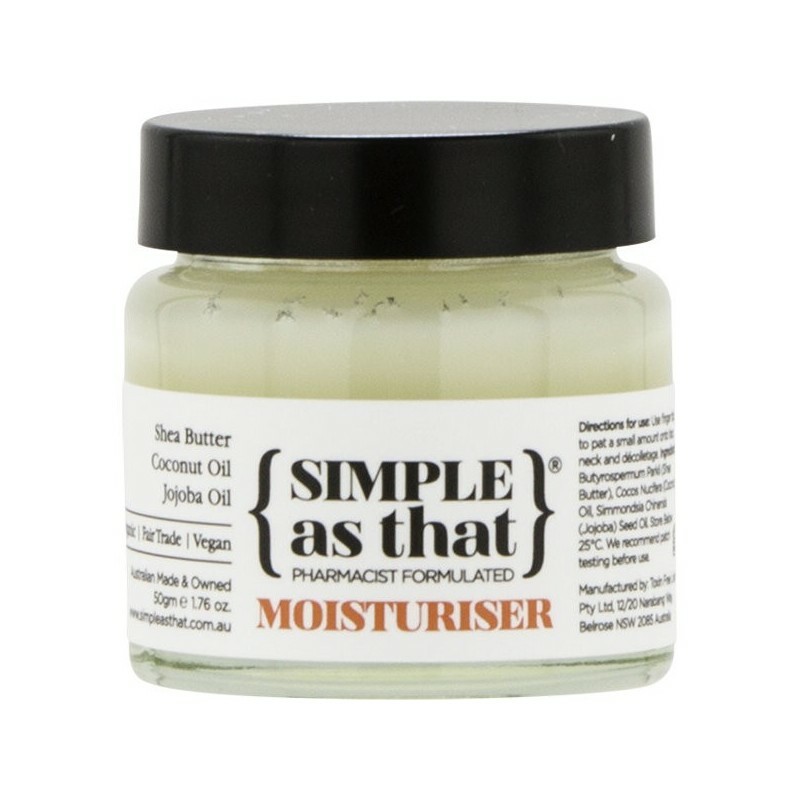 Based on the three iconic raw ingredients, Shea butter, Coconut oil and Jojoba oil which provide the perfect balance of moisture for all skin types. Use morning and night, all year round! 50g. Simple As That uses local and sustainable farms and organic sources. Australian made and owned. 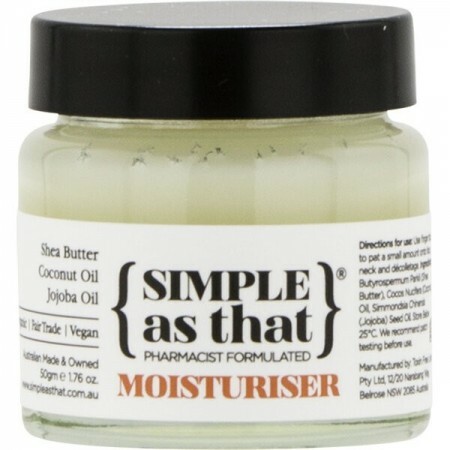 Shea Butter, a natural source of skin loving Vitamins A & E.
Coconut Oil is used for its hydration, anti-ageing properties and ability to bring back to life dull skin. Jojoba Oil is used for its powerful antioxidants and Omega 6 & 9 fats. Made weekly in small batches. Shea Butter, Coconut Oil, Jojoba Oil. 50g. Glass jar with plastic lid. I love this moisturiser. It is so easy to use and feels really luxurious. This product has helped me to simplify my skin care routine and I have seen improvements in my skin as a result of using it. I love that it comes in glass but I wish the lid was metal instead of plastic.